If you are here, Happy New Year and Welcome! 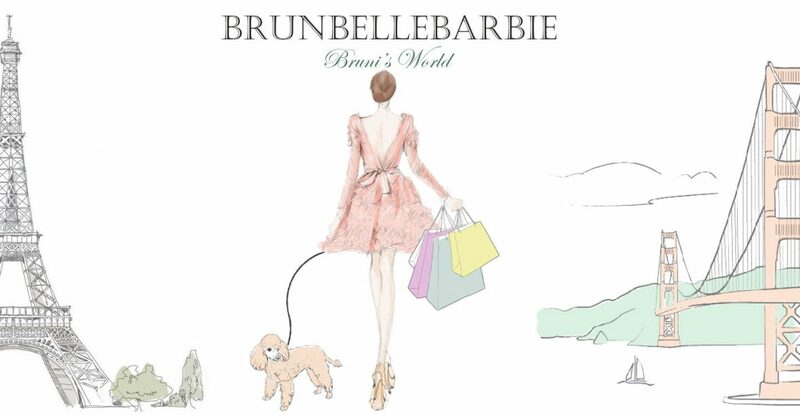 This is the first official post of 2018 and the launch of the Brunbellebarbie blog! Before I jump into our Dolly Resolutions, I wanted to say a few words. It has been so much fun the last 12 months on Instagram meeting all of the wonderful people in the adult doll community. There are so many inspirational, creative, and kind people that touch my heart and soul every day! You all have truly embraced Bruni and we thank you for that! We look forward to this next chapter in Bruni’s World! Thank you for coming along for the ride! Now time to address those dreaded Dolly Resolutions! I know, it’s a painful thought, but after the frenzy of deals and new things coming out in the last few months of 2017, our pocketbook is exhausted! Based on this I’ve come up with a few resolutions (or guidelines) to follow this year. Like many of our closets, Bruni’s has gotten out of control and disorderly to say the least! She gets first dibs on any outfits that come into this house, so her wardrobe generally grows exponentially or at least the pile of extra clothes grows and grows! Like I said earlier, we’ve all succumb to the frenzy of new Fashionistas, new Barbie clothes, and now the new Barbie Hello Kitty clothes! We all get caught up, and personally we don’t have quick access to a lot of the stores you can find many of the items in (e.g. Walmart or a decent Target), so we have been known to order some of these new items online paying way too much! And you know we have all bought Fashionistas just for their clothes! This year, I really want to make sure I take a minute (or step back) and examine the clothes I think we need and make sure the quality is acceptable. I also want to make sure that I have a doll in mind for the outfit. I try to give each of my main girls (and guys) a style all of their own (highlights about that will come later), so I want to make sure it fits in with their very own capsule wardrobe! My love for fashion and sewing all started with Barbie when I was about 10 years old, so I really want to remember and embrace how truly rewarding it is! The quality is better, you get to be creative, and feel good about your designs! Projects may not always go the way you want them to the first time, but you will certainly learn from your mistakes and certainly improve your patience. If you made it here, you know we accomplished this! Now the key will be to develop this site into what Bruni and I envision. The goal will be to post once a week on Sundays, but I want this to stay fun, so I don’t want to put too much pressure on us. You know we’ll always be on Instagram for quicker snippets in between blog posts. Keep in mind that this blog is a work in progress and we still have some behind the scenes features to work on. We will be adding more content to the additional tabs as soon as we can! Thank you so much for joining us in this new adventure, we hope you will enjoy each visit! Congratulations! I love your blog! You are well on your way witg this new year’s resolution! Congratulation for this new beginning! Thank you! I’m so glad you like it! We definitely need to focus on quality vs quantity in all aspects of life!